Visual Realm, established in 2005, is a full service design company that specializes in the whole "realm" of web, design and print. We have an extensive background in marketing and advertising. One of our largest assets as a web design company is that we are very involved in Search Engine Optimization (SEO). Our company ranks in the top 5 for all desired keywords in the Tampa area. Though we are located in Tampa, we have clients across the world and are rapidly growing. Contact us now before we start charging extreme prices like most other agencies. 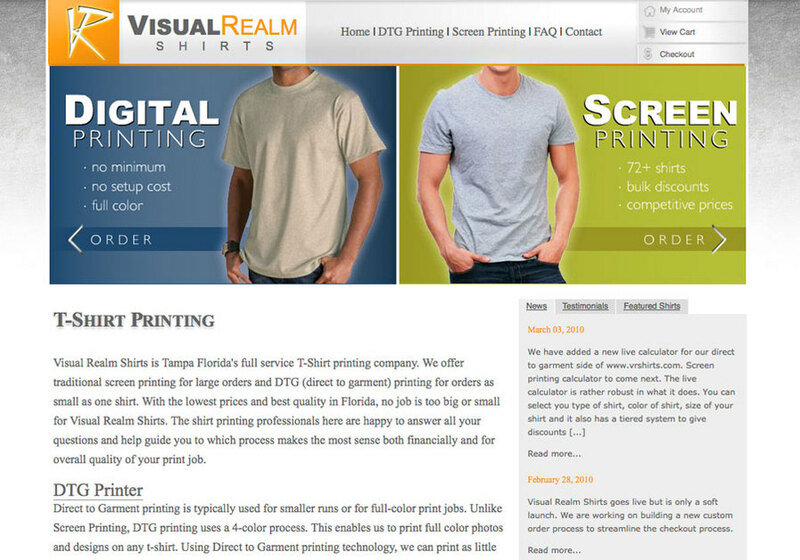 www.vrshirts.com - E-commerce site with custom design, custom php and mysql programming, content management system and SEO.